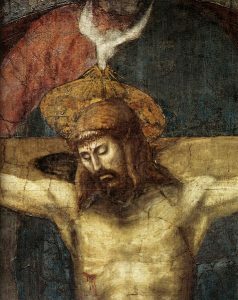 Masaccio rejected the artistic conventions of grace and idealized beauty for sacred subjects in favor of representations that were, in the words of Vasari, “lifelike, true, and natural.” He wanted to make the Christian faith more tangible and accessible to the common person. Read the rest of this article at www.christianhistory.net. Please prayerfully consider becoming a partner with us today by giving a financial gift in support of the StoneWorks vision, that will also enable us to continue to provide these web-based resources for artists without charge. All gifts are tax deductible.